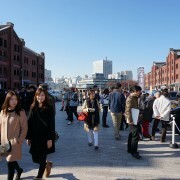 This November, the premier event of the RRBOCJ calendar will once again come to the Yokohama Red Brick Warehouse (Aka-renga Soko). Both brand new and properly-maintained examples from 100 years ago will be on display. This year’s event will feature 40 examples divided into 4 categories: Old & New, Bentley & Rolls-Royce. Join us in a grand celebration of fine motor cars.